Salkin arrived at the U.S. Open with her colleagues, her face appearing on the screen of an iPad supported by a foot-long stick (the body) attached to a base with wheels. The robot is one of three that Momentum is using to help address one of the many concerns agencies face today: maintaining a healthy work-life balance for employees in an industry as competitive and hectic as advertising. “Had the robot not been on-site, [Salkin] would have missed this much-needed time to reboot with her family before gearing back up for the next few weeks of high-energy technical event oversight at the Open,” said Jennifer Frieman, chief talent officer of Momentum Worldwide. Momentum introduced what it simply calls “The Robot” to its New York office around two years ago and is now rolling out two others to its St. Louis and Chicago offices and its 1,300-plus employees. While the robots, which can be powered by app or web browser, are mostly used in the agency’s offices, Momentum has shipped them to conferences, marketing events and even client offices when travel is not possible because of scheduling conflicts. “When employees cannot be at a meeting or event in person, these robots give them a physical presence to bridge that gap,” said Frieman. Momentum bought the robots from Double Robotics, which typically sells them for $3,000 each, excluding warranty fees. Momentum would not disclose how much it paid for the robots. 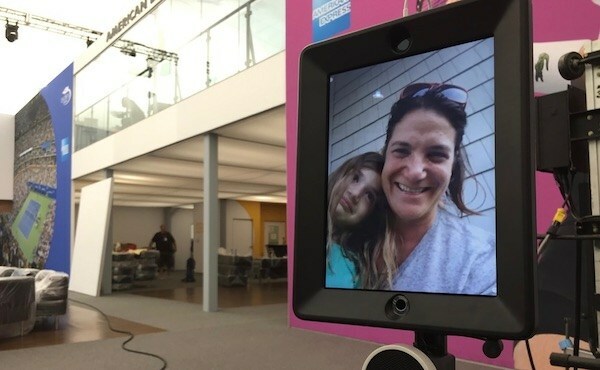 The rollout of the robots is one part of Momentum’s new flexible work initiatives that launch on March 8, in honor of International Women’s Day. The other initiatives include a way for employees to ask their managers for reduced work hours or more days when they can work from home, and Momentum-sponsored fitness and productivity classes. More than ever, agencies are under intense scrutiny to provide more flexibility in their working policies. Ad agencies now have to compete for talent with clients hiring for their own in-house operations, consultancies like Accenture and Deloitte that are taking work away from agencies and platforms that tend to offer incentives and benefit packages that are hard to turn down. Momentum conducted its own survey of around 500 people in June 2017, finding that 83 percent said they would leave the industry if they could not find a job with a good work-life balance. “Our industry is losing too many talented people to unreasonable demands that put unnecessary strain on families,” said Donnalyn Smith, Momentum’s president in North America.